Biometrics, Telecommunications, Networking, Multimedia Technology and Information Security. Assist. 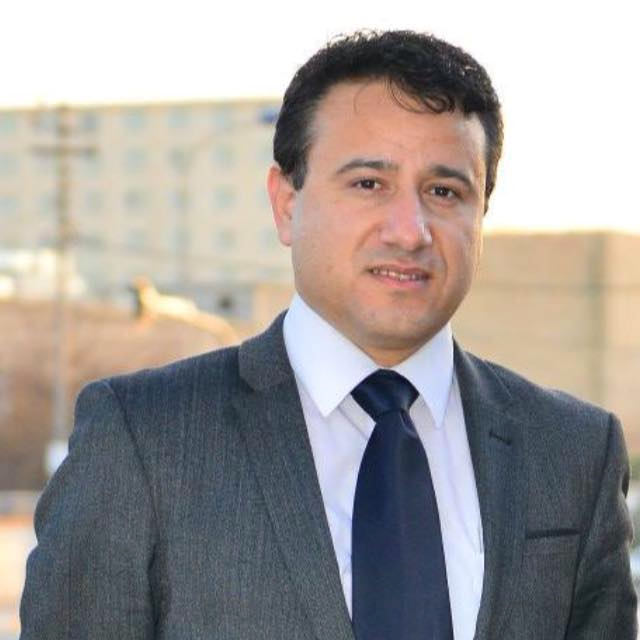 Prof. Dr. Hewa Balisane was the Dean of the Faculty of Education at Soran University, Kurdistan for five years. He received his BSc (Hons) degree from Manchester Metropolitan University, UK in 2005, Master’s degree from Salford University, UK in 2008, and Doctorate degree from Manchester Metropolitan University, UK in 2011. Prior to his position at Soran University, he was an Associate Lecturer at Manchester Metropolitan University. His research interests lie in advanced information technology, multimedia technology, data telecommunications and networks, and biometrics. · Mohammad Derawi, Hewa Balisane, Patrick Bours, Waqar Ahmed, and Peter Twigg (2011) ‘Gait Recognition for Children over a Longer Period’. Paper presented at: International conference of the Special Interest Group on Biometrics. BIOSIG2011, Darmstadt, Germany, 8-9 September 2011. Nguyen QT, Balisane H, Naguib RNG, Santos GN, Vallar EA, Galvez MC, Shaker MH and Ton TN. ‘A GIS–Integrated Wireless Sensors Network Tool for Water Risk Monitoring – Case of Khanh Hoa Water Supply and Sewerage Company, Vietnam’. Proc. IEEE Int. Conf. on Humanoid, Nanotechnology, Information Technology, Communication and Control, Environment, and Management, Puerto Princesa, Philippines, 12-16 November 2014. · Hewa Balisane. (2015) ‘Investigation of Teachers’ Attitudes towards Computer Use in Primary Education in Kurdistan’. Journal of Education and Practice, 6 (14):37-49. · Chinnaswamy, A.K., Galvez, M.C.D., Balisane, H., Nguyen, Q.T., Naguib, R.N.G., Trodd, N., Marshall, I.M., Yaacob, N., Santos, G.N.C., Vallar, E.A., Shaker, M., Wickramasinghe, N. and Ton, T.N. (2016) ‘Air pollution in Bangalore, India: an eight-year trend analysis’, Int. J. Environmental Technology and Management, Vol. 19, Nos. 3/4, pp.177–197.